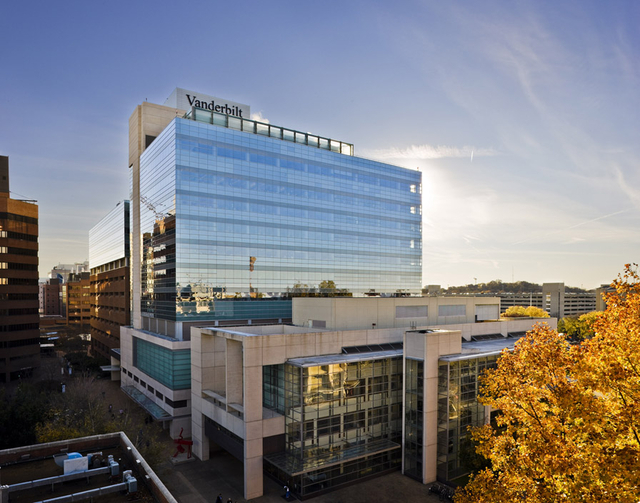 On behalf of our scientists, clinicians and trainees in vision, I would like to welcome you to the Vanderbilt Vision Research Center or VVRC, as we like to call it in Nashville. Vanderbilt University and Vanderbilt University Medical Center continue to share a rich and diverse tradition in vision sciences. The VVRC was founded in 1989 through the funding of a National Eye Institute P30 Core Grant, which continues to this day (P30-EY08126). The rapid growth of the VVRC arose through collaboration between our inaugural director Dr. Maureen Powers, PhD, and Dr. Denis O’Day, MD, past chair of the Department of Ophthalmology & Visual Sciences. Their vision research programs and joint efforts to bolster training in visual sciences established a template for cross-campus collaboration that quickly blossomed and continues to this day. Since those early days, we have grown to include nearly 60 members across Vanderbilt campuses. Contributing research programs span the College of Arts & Science, Peabody College, School of Engineering and the School of Medicine with individual federal grants exceeding $11 million in direct research support. The mission of the VVRC is simple: to understand the biological substrates of vision and mechanisms of eye disease through novel technologies, strategies and partnerships. Title: The molecular basis of neuronal dysfunction in glaucoma: new insights? Title: What do you want to be when you are a grown up vision scientist?